Sick of the tennis monopolizing your newsfeeds? Well, this is your break point! Around the world, Australian sportspeople have been hitting aces in all sorts of ways, helping to do the yellow and gold proud. We would like to particularly congratulate two of Challenge’s Ambassadors – Toby Price and Scotty James – on their most recent successes. For those of you not familiar with the name Toby Price, he is an off-road and enduro motorcycle world champion, who recently won his second Dakar Rally motorbike title in the rigid sand dunes and rocky desert of Peru. His victory, however, did not come without its struggles and uncertainties. Going into the event, Toby was under a significant injury cloud having broken the scaphoid bone in his right wrist only a few weeks earlier. Despite his injury and despite the pain, Toby still went on to become a two-time champion of what is widely considered one of the toughest races on the planet. Pretty impressive, right? 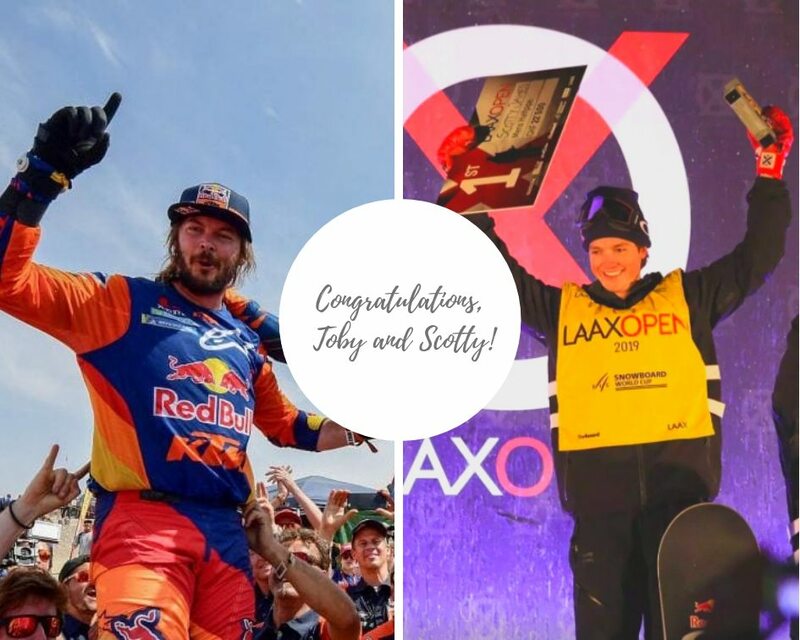 Meanwhile in the United States, Scotty is proving himself to be an unstoppable force following a triumphant season decorated with numerous titles, no better than his most recent win on Monday at the LAAX Open Halfpipe World Cup. Scotty now tops the Halfpipe World Championship leader board sitting on an impressive 2000 points. Their talent alone is extraordinary enough, but it is the work both Toby and Scotty do with kids and families living with cancer that makes their achievements particularly deserving. We feel so proud to have Toby and Scotty part of the Challenge community and it is a privilege to see these men thrive so remarkably in their careers. Well done, Toby and Scotty!